In 1992, things weren’t going well for Allen Stretton in the Penn State engineering program. Stretton, a Maryland native and self-described “yuppie wannabe” at the time, decided to take a year off and spent three weeks driving around Arizona, New Mexico, and Colorado, searching for his new hometown. “I wanted to see where people were friendly,” he recalls. “Summit County was by far the friendliest place.” It became even friendlier when Stretton arrived. 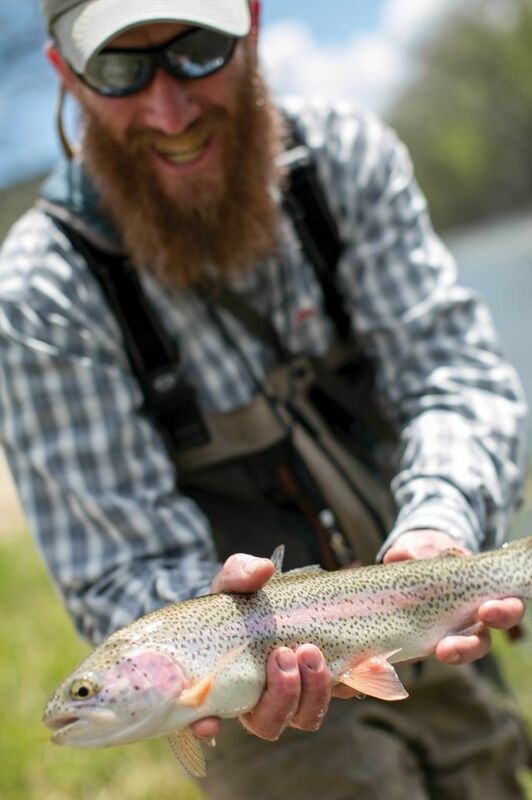 Twenty-four years later, the jovial Dillon Valley resident, easy to recognize from his furry red beard, plies his trades as a woodworker and a fly-fishing guide for Cutthroat Anglers. 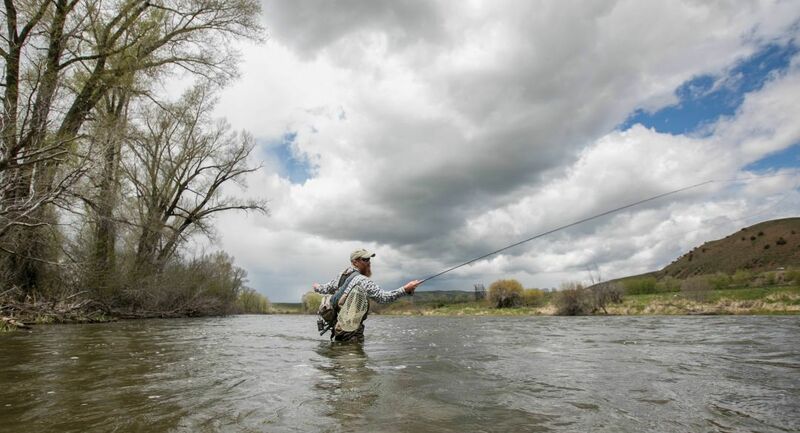 Here, Stretton, 45, explains the secrets of fly-fishing guides (and, while he’s at it, the good life) and why private-jet owners sometimes go home wishing they could be river bums like him. I’ve been fly-fishing for a little over a decade. Mitch [Melichar], the owner of Cutthroat Anglers, needed some woodworking done at his house. I told him what it would cost, and he couldn’t afford it. So I told him I’d work for him a day if he’d work for me a day. For every day I worked on his house, he would take me and my father-in-law fishing. I got obsessed with being out there and solving the problem: trying to figure out the flies, the location, where the fish are—the adventure that is fly-fishing. Not so much the trophies; I’ll have as much fun catching a 10-inch fish at some silly high-alpine lake as I will catching a monster on the Blue. I’ve caught a 30-inch rainbow on the Blue. “Where” is the part we can’t discuss. We’ll just say, “The Blue. North.” Its head was the size of a grapefruit. It took about 10 minutes to land it. I think I’ve eaten one fish off a fly rod, ever. If I catch something that would be big enough to make a nice filet, I’m happier to know it’s in the river. Each morning, I ask the clients if they want to catch the biggest fish, or if they want to catch the most fish. We have maybe 300 miles of river to use. But each river has different characteristics. I’m the cruise director, the safety coordinator, the tour guide, and entertainment. I once wrote down all the jokes I told, and it was more than 100. I could offend anybody in under 30 seconds. We aim for six or seven hours on the water. People really tend to struggle after six hours. I’d say 90 percent of our clients have some sort of indoor job, so after that long they’re done. I don’t know how many times I’ve driven home in the truck, and everyone else is asleep. I take out clients who own their own corporation, own their own plane. And they’re like, “Wait, you ski 70 days? And you fish 100-plus days?” They’re actually a little jealous of our lifestyle here in Summit County. If I see kids who want to learn how to fish, I’ll immediately go over and give them flies or whatever they need. I’ve cut the rig off my line and said, “Here, tie this on.” People are like, “Who are you?” Usually I tell them I’m a carpenter, not a fishing guide. But sometimes they figure it out. It’s kind of obvious when you’re wearing an $800 pair of waders and using a $2,000 rod and reel, and you look like this.